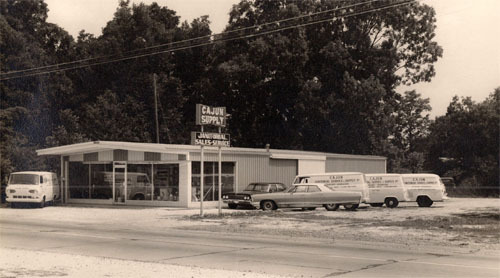 Cajun chemical and janitorial was established in June of 1962 by Burton Charles and Emmit Fontenot. 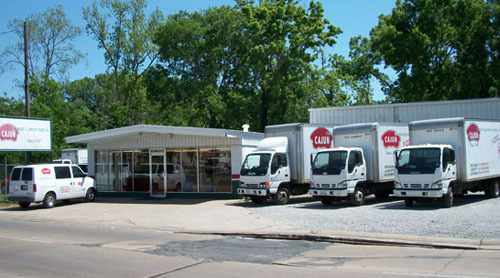 Burton sold milk off of a truck for several years, and Emmit sold beverages on a local route. Both had years of experience selling products and dealing with the public. Both men had respectively climbed to the top of the ladder for each position and because of the industries they were in the last rung on the ladder had been reached. They saw a need for a janitorial supply and service company in Opelousas, and Cajun janitorial was established. The business consisted of 2 salesman, Burt and Emmit, and one delivery driver. The warehouse consisted of an old tin building located near the railroad tracks in downtown Opelousas. After selling on the road all day, both men and their wives, (Jeanette & Yvonne) would clean offices into the wee hours of the morning in order to make ends meet. After a few years a light at the end of the tunnel began to appear and Cajun Janitorial became incorporated and a new location was purchased and that expanded location is still running strong today. Even though Burt (deceased 2001) and Emmit (deceased 1986) are no longer with us, their values, dedication and commitment to provide quality products and services to their valued customers are still an important part of the business today. Hard work and sacrifices have built the foundation that holds the building blocks for Cajun Chemical & Janitorial, Inc to stand on today. Now 48 years later with over 13,000 square feet of warehouse space, 22 employees (4 are children of Burt & Emmit), and 5 delivery trucks, we are still able to provide a close and personnel relationship with each and every customer. We thank you for visiting our website, but most of all we thank you for your business.